EA games is trying to trademark the word "Ghost", almost as ridiculous as trying to trademark "Candy". Trademarks in video games can get pretty ridiculous some times. I'm sure you've by now hard about Candy Crush Saga developer King's ludicrous claim to the word "Candy", but recently, EA games has tried to pull the same thing with the word "Ghost." 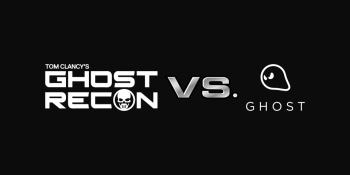 Obviously, ghost is a fairly common word in games (especially those modern military shooter types), and as such, Ubisoft has raised its hand to say, "uh, no. You can't do that." The filing, which the boys at NeoGAF dug up over here, opposes EA's claim to the word "Ghost," stating that if such a trademark was granted, it would hurt several of Ubisoft's own properties, most notably its Ghost Recon series. EA Games has until March 9 to respond to the opposition, after which it will head to court. Just for the record, the EA filing isn't completely without merit, as it is trying to protect its Ghost Games studio - the folks behind the Need for Speed series these days. That said, a trademark for "Ghost Games" would have probably made things a lot simpler. Perhaps Activision would also like to throw its claim to the word "Ghost," just in case it wants to make a sequel to Call of Duty: Ghosts.